SCREENSHOT 25) The migration process has been executed and will be queued after the old tasks if any. This is an information screen, just click “Finish”. 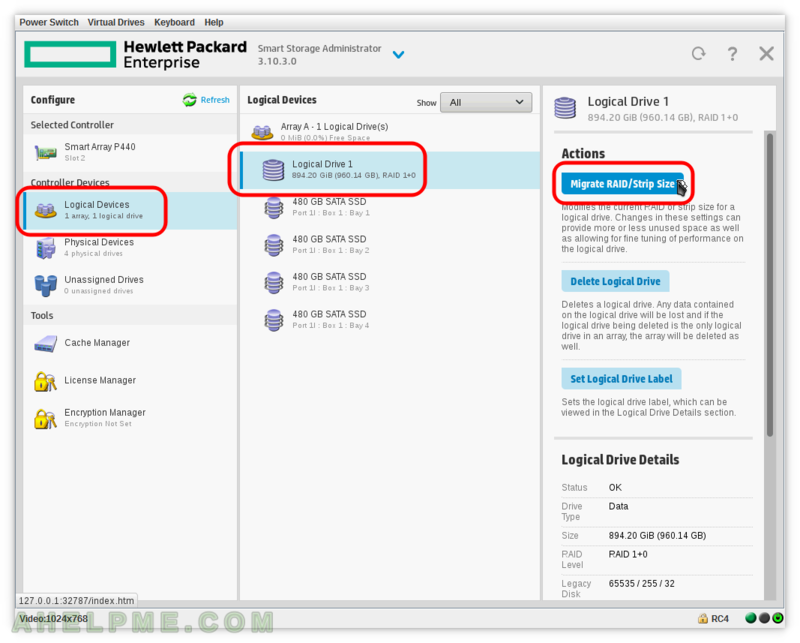 Note you will not lose your data during or after the migration. 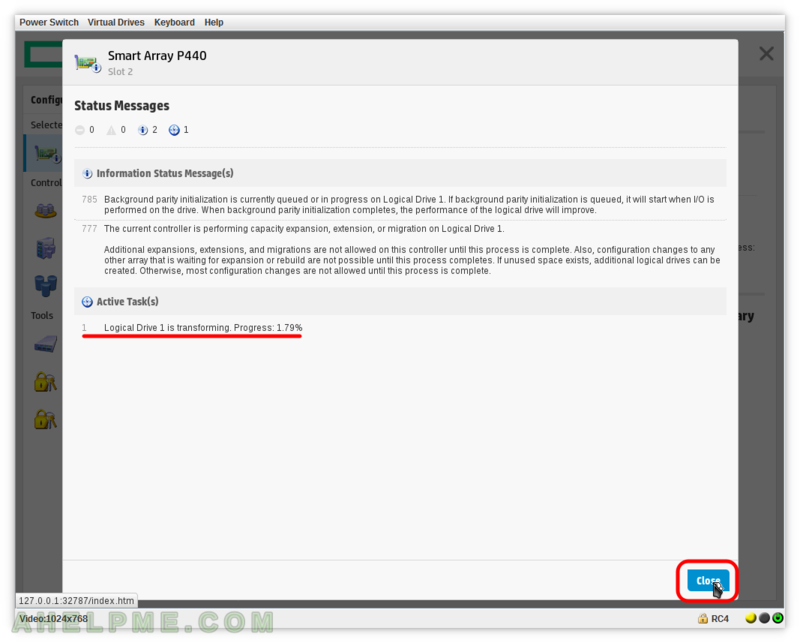 SCREENSHOT 26) Click on Smart Array P440 and then on the right click on “View all status messages” to view the 3 notification. 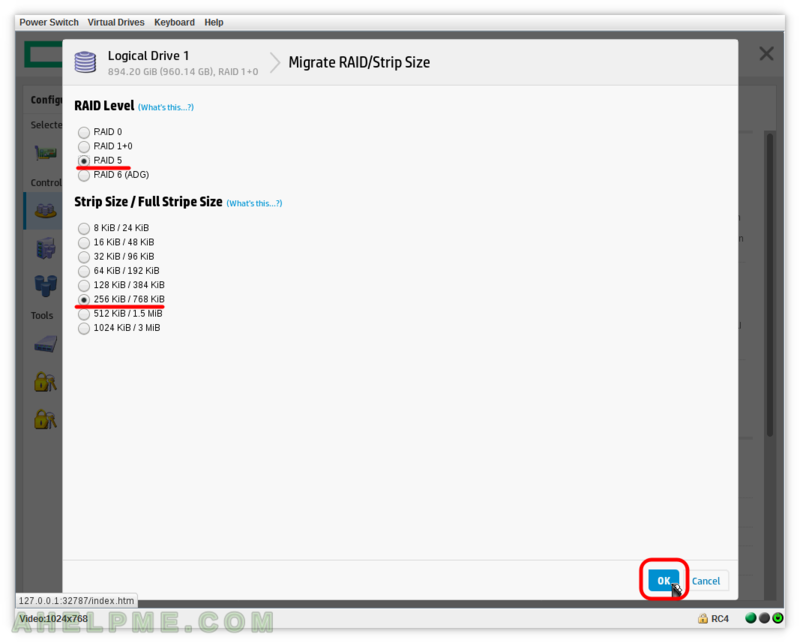 SCREENSHOT 27) Total of three messages are available – two are Information Status Messages and one is the progress of the transformation of the RAID 1+0 to RAID 5. Click “Close” to exit this screen. 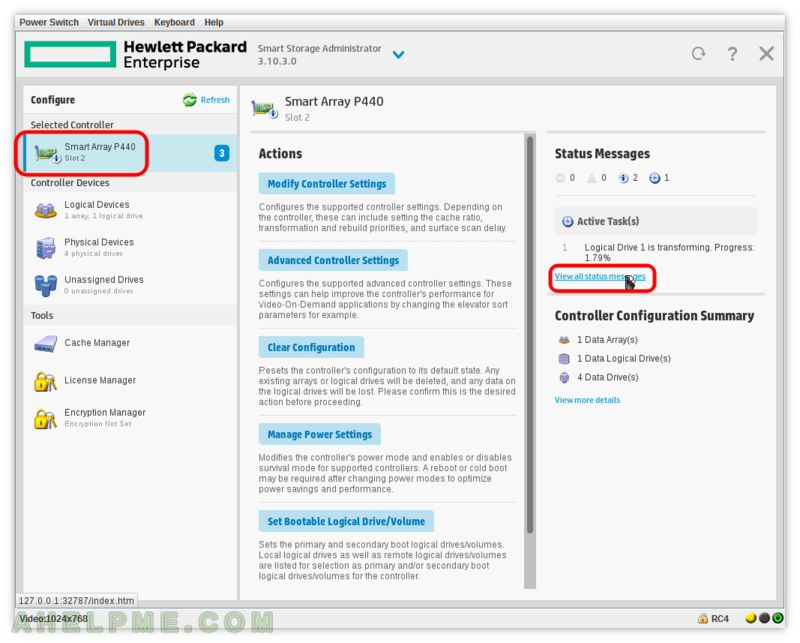 SCREENSHOT 28) To delete an array select the controller Smart Array P440, the Array group – Array A and click on “Delete Array”. 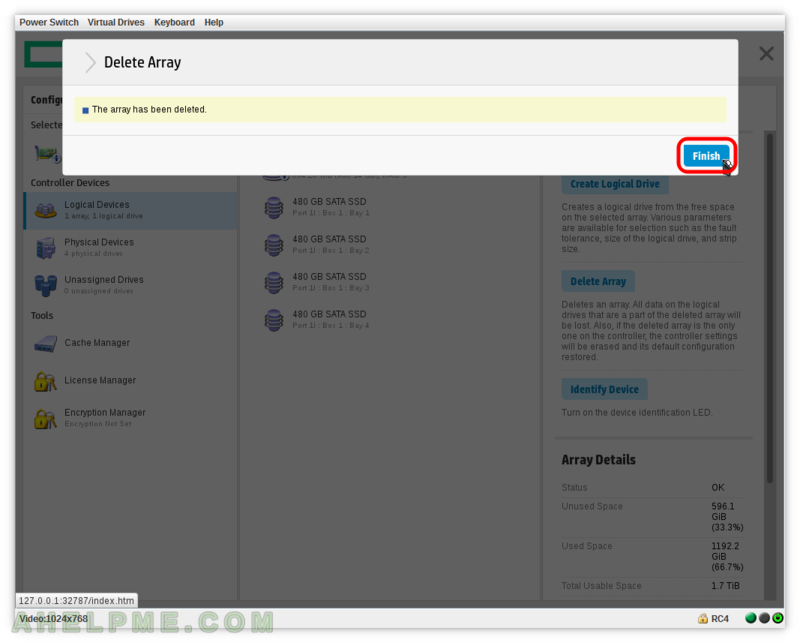 SCREENSHOT 29) A confirmation is required upon an array deletion. 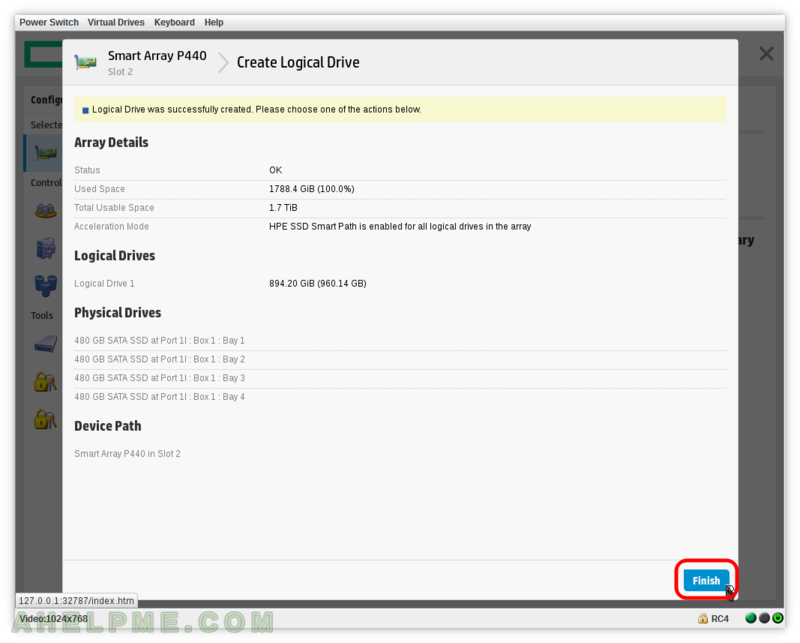 And red notification text saying: “Deleting the selected array will cause all of its drives to be deleted! 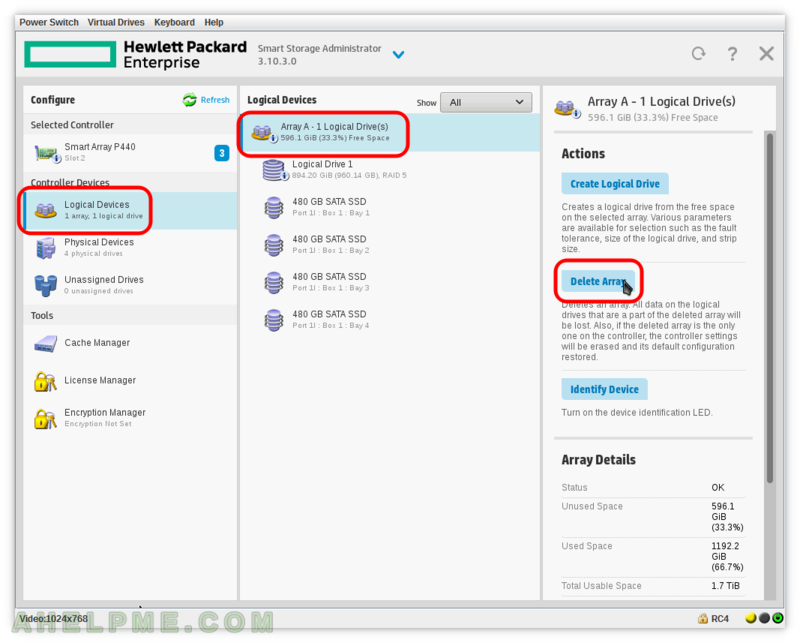 All data on the logical drives will be lost!”. So be careful here! You could lose all your data! 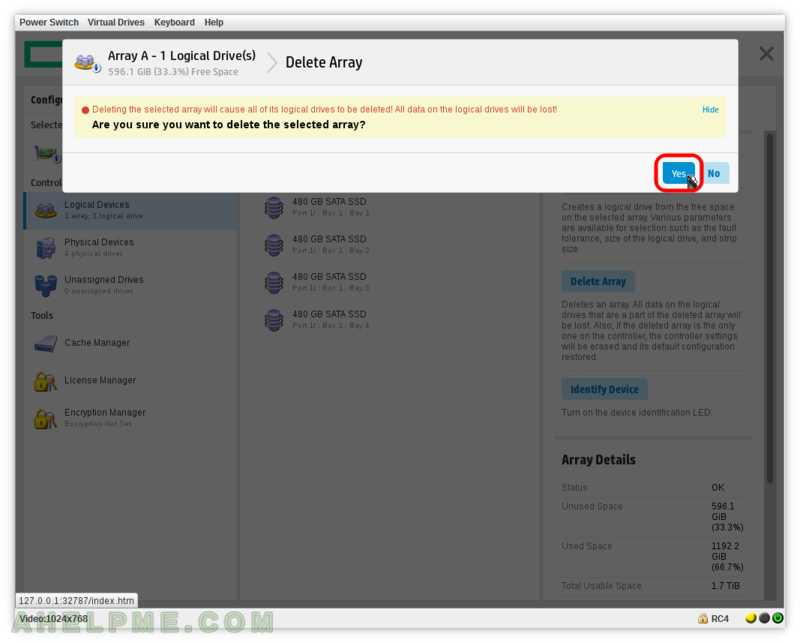 SCREENSHOT 30) The array has been deleted successfully.